TO CLEANSE - This past year I fell in love with a new cleansing balm. 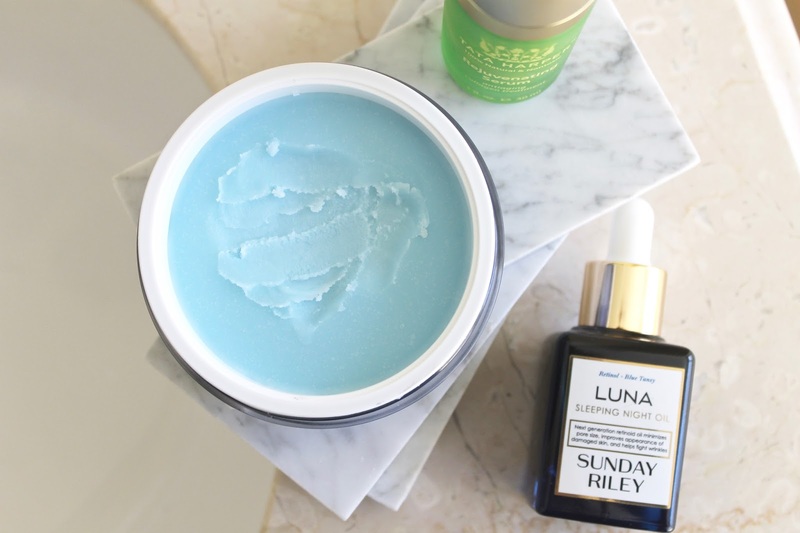 The sugar-based hydrating Sunday Riley Blue Moon Tranquility Cleansing Balm is nothing short of ah-mazing. It contains a mixture of soothing essential oils that help calm any irritations and (vanilla, chamomile, blue tansy) moisturizes deeply with cocoa butter and mimosa flower wax. It's a nice little ritual that I look forward to at the end of a long day, after I've removed the bulk of my makeup with micellar water. 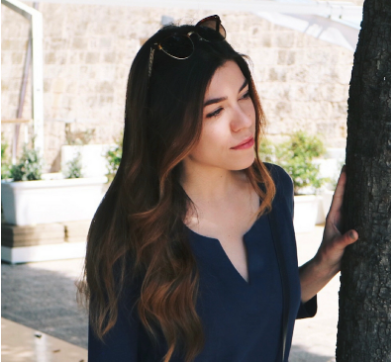 It leaves the skin soft, dewy, and never feeling stripped. TO TREAT - As I mentioned in my morning routine, this is the step where I'm the choosiest about what I'm slapping on my face. In the morning it's the Sunday Riley Good Genes, because it creates the plumpest, and cleanest feeling skin on which to apply makeup. It also manages to hydrate but also exfoliate away the dead skin thanks to lactic acid. For evening, however, I'm all about hydration and the Tata Harper Rejuvenating Serum manages to do just that while also stimulating collagen production to diminish fine lines and brighten skin tone. It leaves my skin feeling velvety soft and contains absolutely no skin-aggravating ingredients - a definite bonus in my book. TO MOISTURIZE - Now, an additional moisturizer may seem a bit overkill at this point - and, yes, sometimes it is. Sometimes my skin just needs that extra bit of hydration and other times I don't want to overdo it. But, it's safe to say that no matter what else I apply, my skin practically drinks up the La Prairie Ice Crystal Emulsion. It's a lightweight moisturizer that sinks into skin immediately and leaves things feeling silky smooth. I love it. TO NOURISH - Possibly my favorite step of all is this oil. 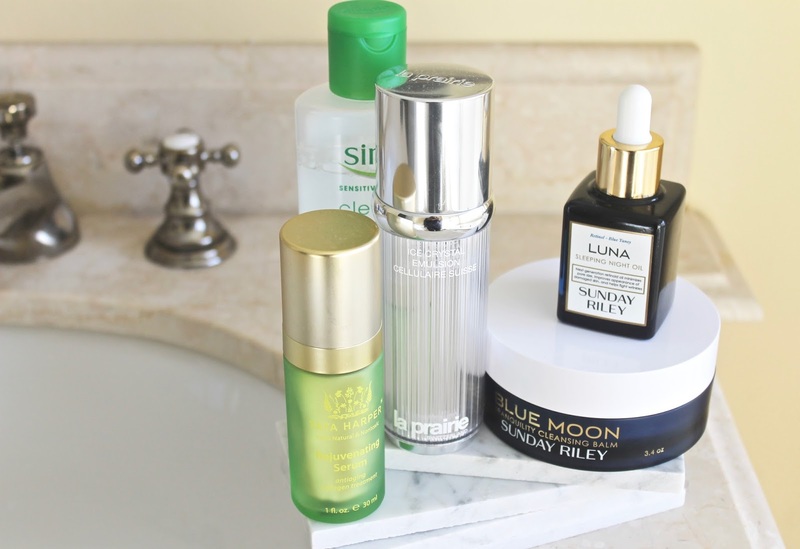 The Sunday Riley Luna Sleeping Night Oil has been a lifesaver for me this winter. It's a retinol oil with a base of plant-based essential oils to help reduce pore size, repair the look of damaged skin, lines, wrinkles, and promotes an overall more clear complexion. I go in pretty heavy-handed with this, taking about four drops all over and my skin, and as a result it glows. What products do you use in your everyday skincare routine? P.S. I've recently created my first ever YouTube video! I'd love for you to watch and subscribe to my channel - search Necessary Nothings or click here!